OVERLORD'S BLOG: Shrapnel, I presume? Back in 1784 a young British officer holding the rank of lieutenant in the Royal Artillery finalised the design of his new type of ammunition. 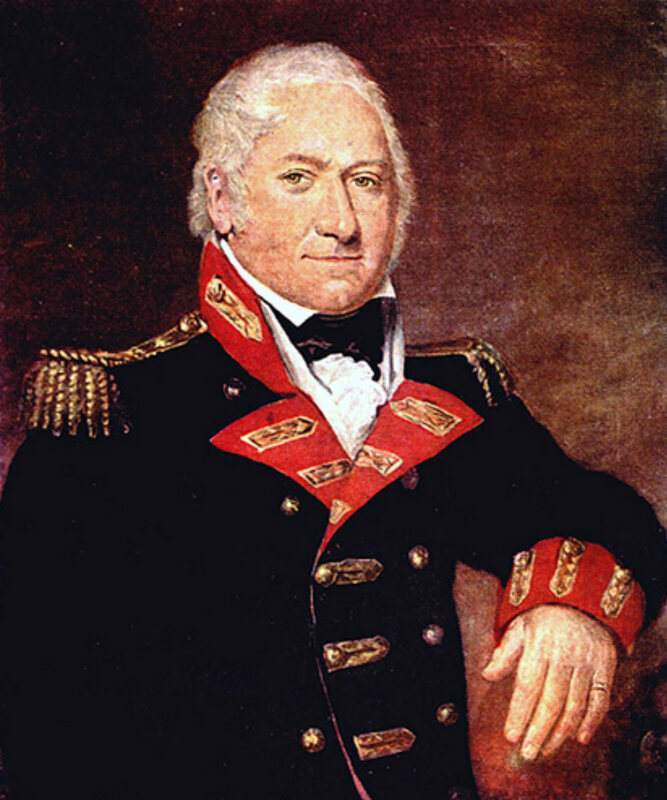 His name was Henry Shrapnel, and the ammunition he'd invented was, unsurprisingly, called the Shrapnel Shell. Since then armies of the world have worked very hard to place shrapnel into enemy soldiers, and over the last few years a new weapon of war has emerged and become viable. A few weeks ago, a friend sent me a video clip on Skype. It was a demonstration of modern airburst munitions in action, which can be seen below. These are projectiles fused to explode above the enemy, thus bypassing any cover they might have. I mused at the idea of an article covering the development of the newest weapon, but immediately ran into a disagreement with another friend. He claimed, with some justification, that the technology to explode a shell at a set range had been around for ages, pointing to the heavy German AA guns such as the 10.5 cm FlaK 38 and 12.8 cm FlaK 40. Both had a special device that would automatically alter the fuse for bursting distance before loading. 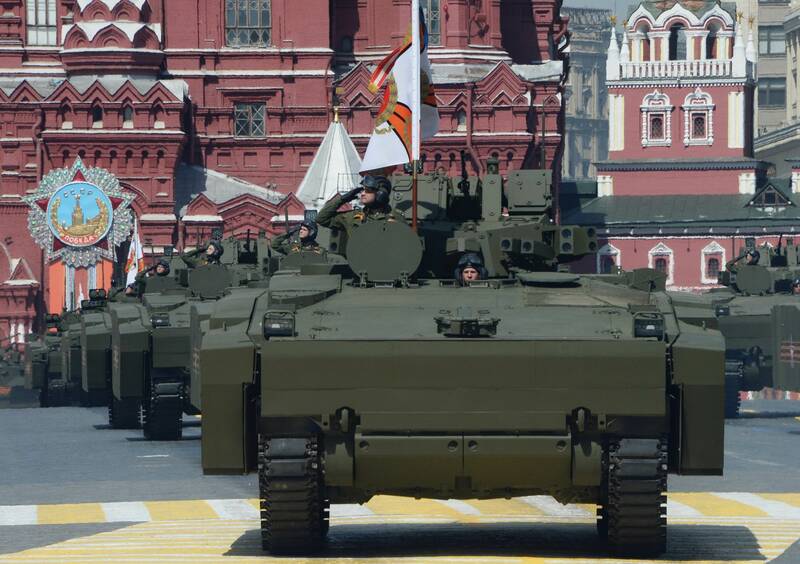 My friend suggests the bigger more important step was measuring the speed of the round while it’s travelling down the barrel, and programming its fuse just as it leaves the muzzle, such as the new German IFV the Puma. This is due to even modern rounds having minor manufacturing differences which can lead to changes in the ballistics and muzzle velocity. I personally felt it was more interesting to cover rounds programmed in the breech. Because there's more material on those, some have even seen combat. If the video doesn't work it can be found here. Where to start? Well I think the first mention I've seen of a programmable airburst munition was in the mid 1960's. The British were drawing up the requirements for their next generation of MBT's, the ones to follow on from the Chieftain. They were looking at something light, about 40 tons, well protected and with great firepower. The firepower was provided by its main gun, which also included the use of a programmable munition that would automatically be fused over the heads of the target, and if needed fractional yield nuclear warheads. Obviously, none of that came about, but the idea was there. It appears in more modern times, that the German DM11 120mm HEAT round can be programmed to explode early at a set range and spray tungsten balls about. Next into the ring was the infamous Objective Individual Combat Weapon, or OICW. This began life in the 1986, and consisted of a 20mm semi-automatic grenade launcher, with a laser range finder and scope. Under this was a pretty standard 5.56mm assault rifle. 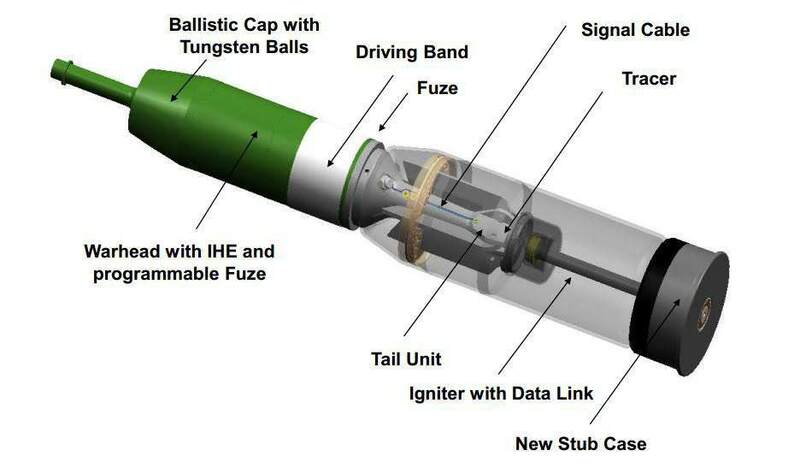 The laser would automatically measure the range to the target and then the fire control computer would set the fusing on the grenade to explode above the target. There was a similar crew served weapon, to replace the .50 calibre HMG as well, named the XM307 Advanced Crew Served Weapon. One problem with the OICW was the small grenade size, only 20mm. There's not much bang in that warhead, so over time the weapon had its grenade size increased to 25mm. The other rather serious issue was the all up weight of the weapon, coming in fully loaded at an astonishing 7 kg. To put that in perspective that's not far off two bolt action rifles of WWII, or two to three M16 rifles. This lead to the apocryphal story about one soldier during the testing phase. After lugging it around for several miles the soldier is asked for his views on the weapon. Saluting smartly the soldier replays. "The best way to use it, sir, is to give it to the enemy. He'll injure himself when lifting it. Injure himself as he tries to carry it to the front line. Then, if he can get it pointed at an enemy, he will drive himself nuts trying to work out how to fire the damn thing!". An equally suspicious story says that a grizzled USMC sergeant was heard to ask "Where does the bayonet go?" However slightly more gown up sources were aware of the weapons spiralling costs, weight and complexity. There was also a legal question, as the 20mm could be used direct fire for use against personnel. This means it’s an exploding bullet under the Geneva Accords and hence very much banned in legal terms. 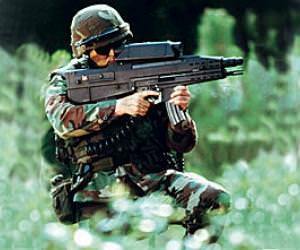 To this end the project was split in 2002 into the XM-8 assault rifle and the XM-25 grenade launcher. The XM-25 was re-worked both in a legal sense to create a weapon that was used to attack an area not an individual, and is therefore all nice and legal. Its description was changed to Counter Defile Target Weapon, to indicate the change in its legal stance. 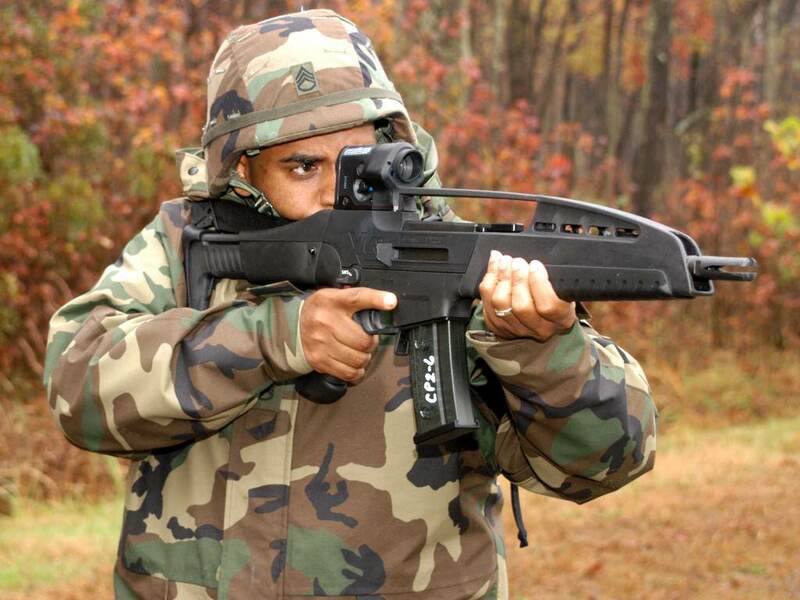 In 2010 the XM-25 was the first of these types of weapons to see combat. US soldiers deployed to Afghanistan started a 14 month Forward Operational Assessment. Its first action was on the 3rd of December. It utterly changed the way the war was fought. Soldiers reported that normally the enemy would take cover behind solid objects and there would be a long firefight of 15-20 minutes. With the XM-25 these engagements would be over in moments. In all during the assessment there were 55 engagements, all of which were successful. The soldiers called this weapon "The Punisher". 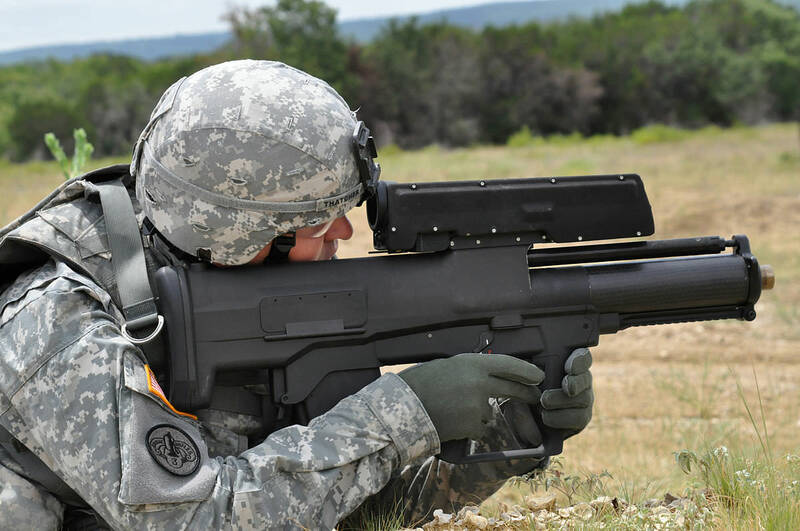 However, in 2013 during another testing phase during a live fire exercise an XM-25 loaded a second round into the gun which caused both rounds to detonate. Luckily only the propellant detonated, not the warheads due to safety systems in the weapon. This caused minor injuries to the soldier manning the gun. This along with even more costs caused the project to receive several funding cuts, but it is still ticking along at current. The modern programmable airburst munition is here to stay, most modern IFV's have a round that can be so programmed from their cannons. 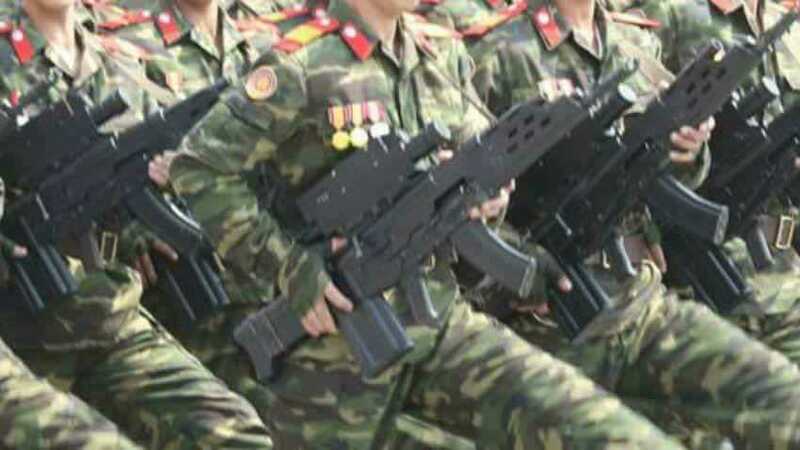 There seems to be several countries developing weapons similar to the OCIW, such as North Korea, although its yet to be proved those weren't made by Fisher Price. North Korea's OICW copy. Compare if you will the size of the optics with 1980's US tech above. Also consider the US weapon was way to heavy, and yet seems to be smaller. But with the prevalence of modern airbursts it will change the face of infantry tactics, mostly on the defence. I wonder how many nations are training their infantry to face such a threat? Interesting concept. Science fiction has been discussing this since at least the 80's. Science fiction nearly always pre-dates weapons technology. Look at HG Well's The Shape of Things to Come. A colossally difficult and bad book to read, but in it it predicted "Aerial torpedoes", which were basically guided missiles, and "100 mile fights". The much better film also had scenes of bombers wrecking a city, in 1936. You can see instantly how it shaped the thoughts of the pre-war era, and why so many people paid attention to air defence in the UK. Especially as Guernica was the year after. I've watched that several times - it's a classic. It even predicted the whole post-apocalyptic genre.